After a week at The Patch, Slimbridge, Wrens-Nest is on the move again. Joy has spent the mornings of the last week helping run a Holiday Club at Wotton Baptist Church, the club was called Rocky’s Plaice and was set around the theme of a fish & chip shop. Over a hundred children attended, and the week ended with a fish and chip lunch for the children, leaders, parents and grandparents. 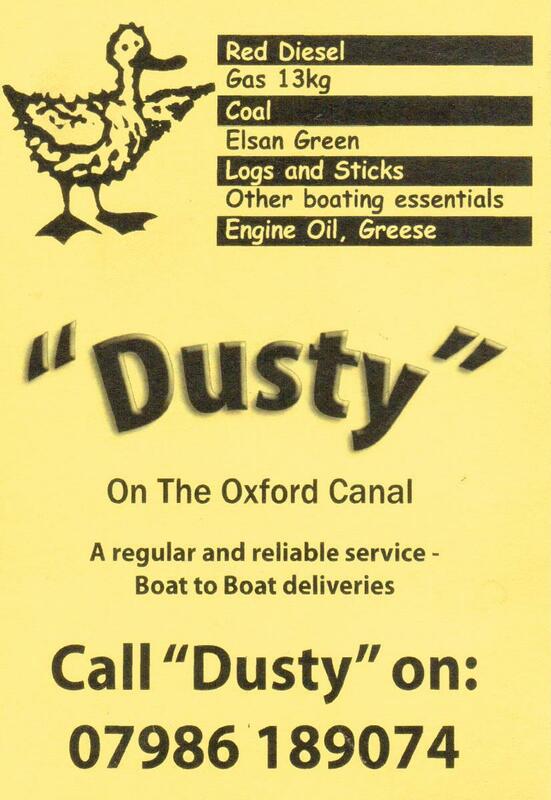 Chris has been doing exciting stuff like writing letters and boat maintenance. We have had hundreds of visitors, OK well that’s a slight exaggeration but we counted about 47! Friday evening we celebrated with six friends and a bottle of champagne and today we had a mini cruise with two special couples, one couple had just celebrated their golden wedding anniversary and the other couple celebrated their diamond anniversary this year. Do spare a prayer for our friend Gary who was with us Friday, he had a stroke in the early hours of this morning and is now in hospital. 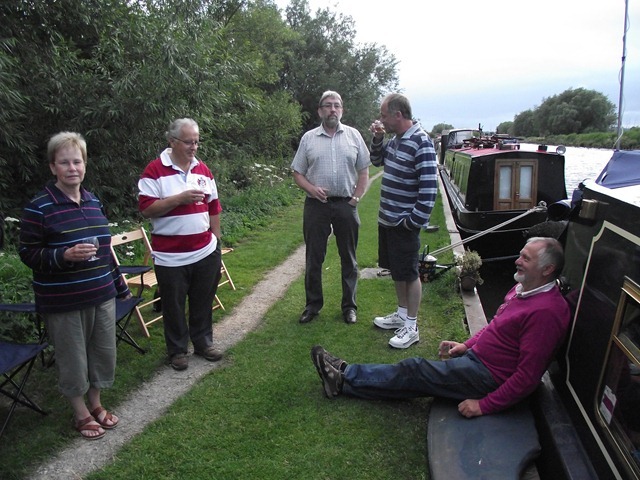 We are moored up tonight at Sandfield Bridge just before Saul Junction. 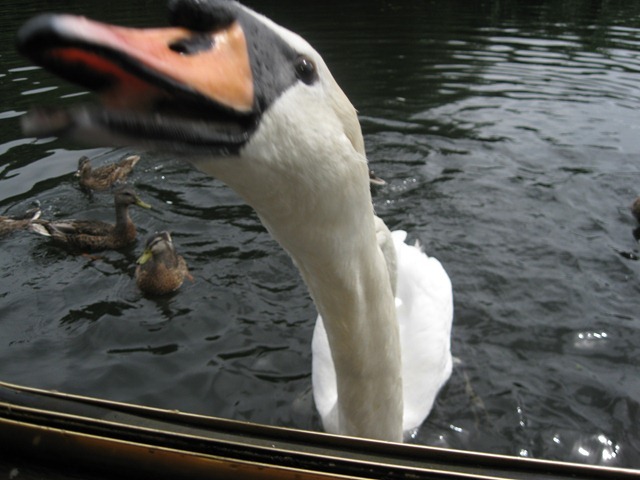 After a very light breakfast we set to work hoovering and cleaning the boat, we were expecting visitors you see. Our friends (and previously near neighbours from Dursley) Mike and Myra travelled up to Gloucester by bus and we cruised down the Gloucester & Sharpness Canal together as far as Patch Bridge at Slimbridge, stopping [successfully this time] for a pub lunch at The Pilot at Sellars Bridge, Hardwicke. For those of you not familiar with the area the G & S is actually a ship canal, although not many ships are seen these days, and wide enough for our 63’ boat to turn practically anywhere. 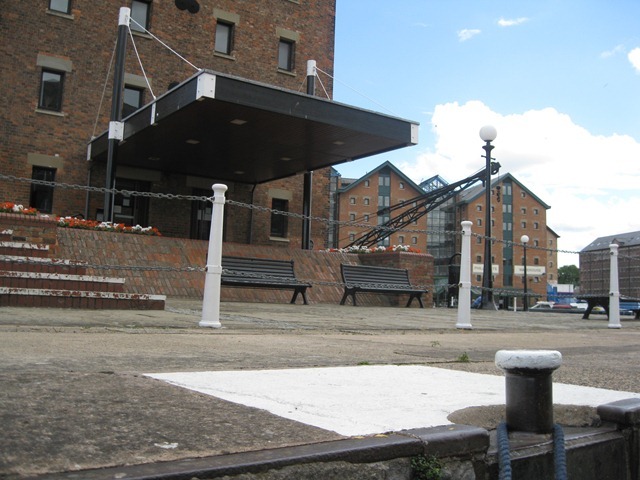 The Dock area in Gloucester has undergone and is still undergoing redevelopment. The new Gloucester Quays , with its designer outlets, is up and running and Sainsburys have their own moorings although they were full and we couldn’t stop to go shopping. It was an easy cruise down to Slimbridge, (famous for the Wildfowl & Wetlands Trust) as the bridges are all manned and have traffic lights, and I can’t help mentioning Splatt Bridge, another of my favourite names! 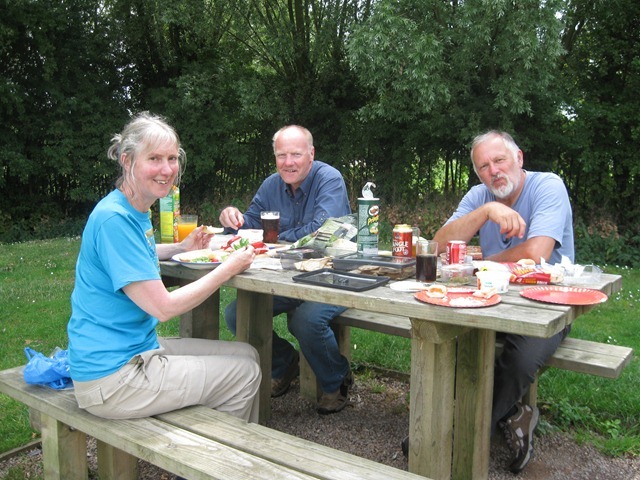 By teatime we were at the Patch and had found a mooring near the bridge with a water point adjacent. Patch Bridge is named after Shepherds Patch developed during the nineteenth century, providing homes for canal workers. 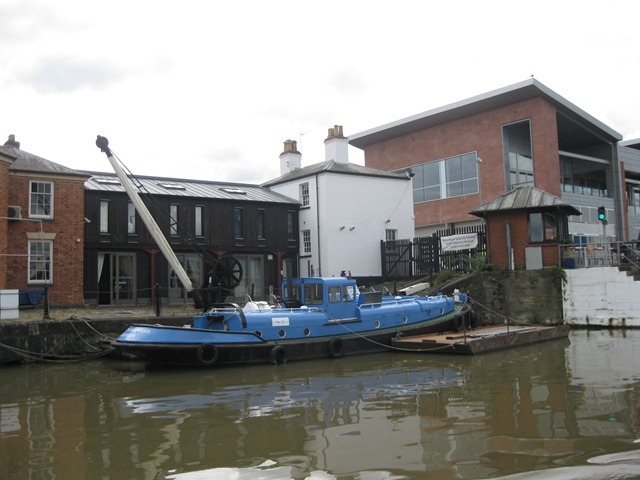 Near the bridge are the Black Shed Café Bar and Glevum Boat & Cycle Hire on Patch Wharf and the Tudor Arms a few yards away. We got a taxi back to Dursley, took Myra and Mike home and picked up Matilda, Jer’s 1972 VW Beetle which we are borrowing for a few days and of course to wish our grandson, Morley, happy 7th birthday. 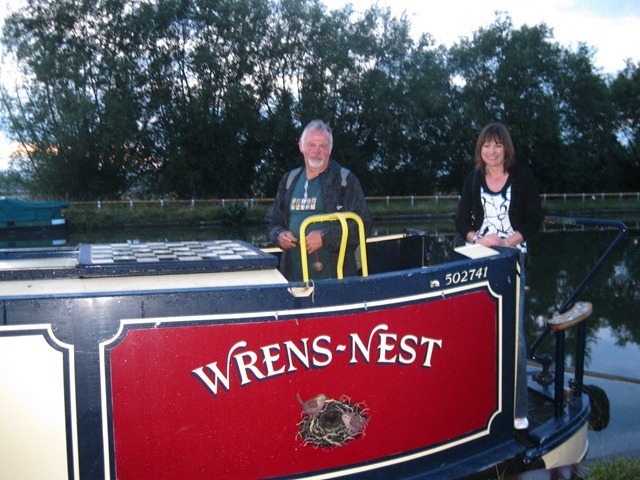 Then we had to get back at the boat to meet Alison, Joy’s niece at the pub (officially The Tudor Arms, but locally it’s universally simply referred to as going down The Patch) we then gave her the conducted tour of the boat before bidding her goodnight and retiring to bed. 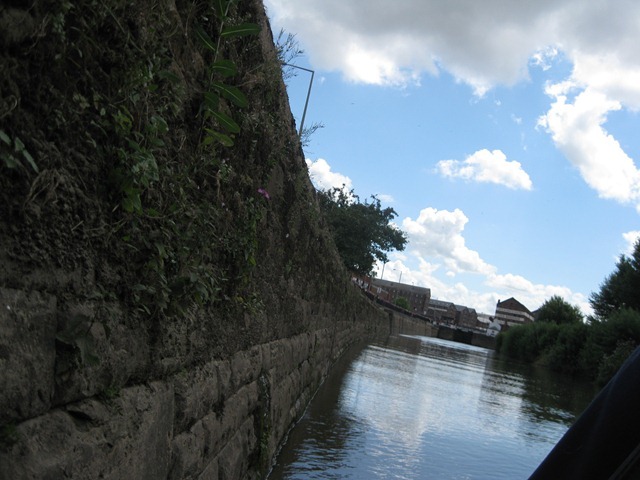 We left the Avon through Avon Lock and were soon making our way down the River Severn which sure looked big and wide. Within a few minutes we were at Upper Lode Lock and wow wasn’t that big, the biggest inland lock in the country the lockie proudly told us, he was really helpful and talked me through the process and was very careful to let the water in gently and re-assure us that, despite the size of the lock the rise and fall would only be 4 feet. So off we went again and at the Upper Parting, just 3 miles from Gloucester Lock, we phoned ahead to the Lock as required but got the answering machine, thinking he was at lunch we pottered down slowly and phoned again at the ½ mile marker when we got through and were told to wait at Gloucester Quay Wall and grab hold of the chains as soon as possible to keep out of the pull of the river towards the weir. 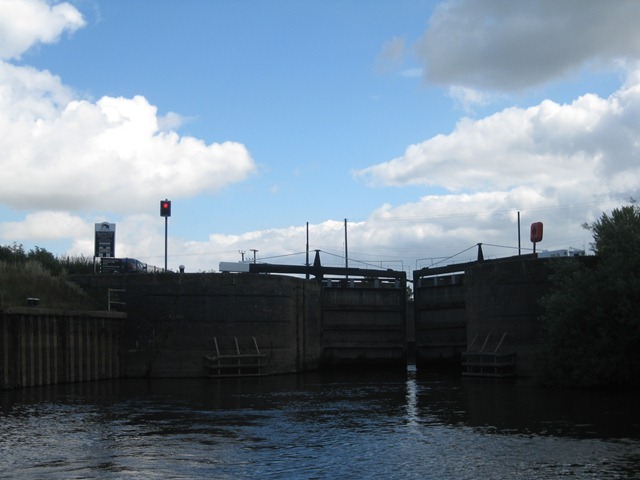 It all sounded quite scary but we managed OK and soon the lock traffic lights turned green and in we went. 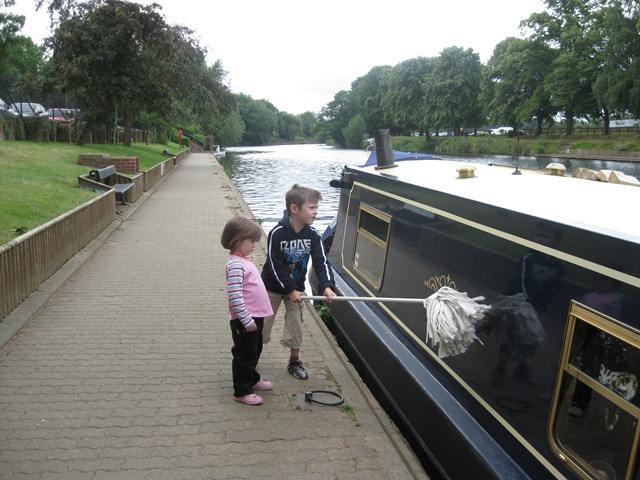 The Lockie, Mike, was again helpful although Joy managed to pinch her fingers when the boat drifted forwards. Soon the ordeal was over and we were into the docks and on the Visitor Moorings. 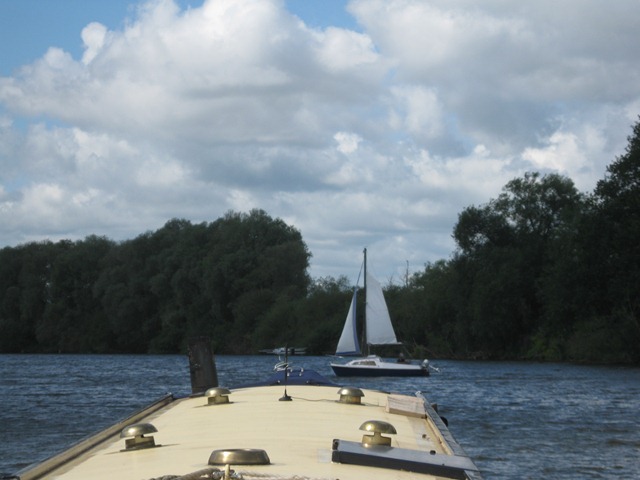 We set off from Pershore Recreation Ground this morning and were soon at Pershore Lock where a large sign warned us of Commercial Traffic Ahead , we had to ring Pilot Boat ‘Tardis’ to announce our arrival and he warned us that there were three barges and tugs working ahead. We pressed on keeping a good look out, we soon found the Pilot Boat and exchanged greetings and saw the first of the barges unloading. 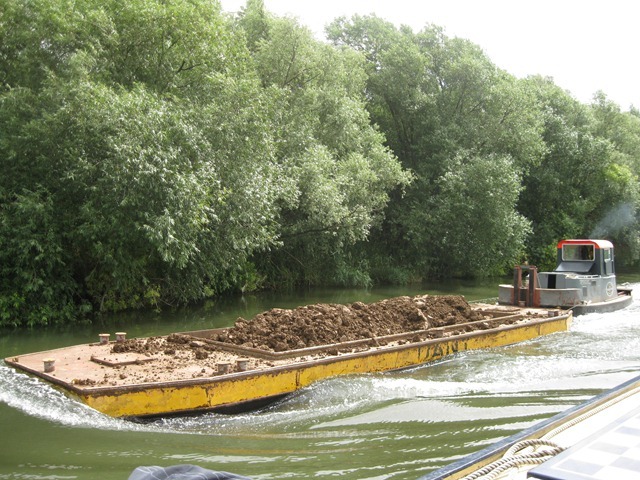 Within a few miles we passed the two tugs who were pushing dumb barges full of soil and then the site where they were moving it from and still have no idea why they were moving tons upon tons of soil a few miles up the river. 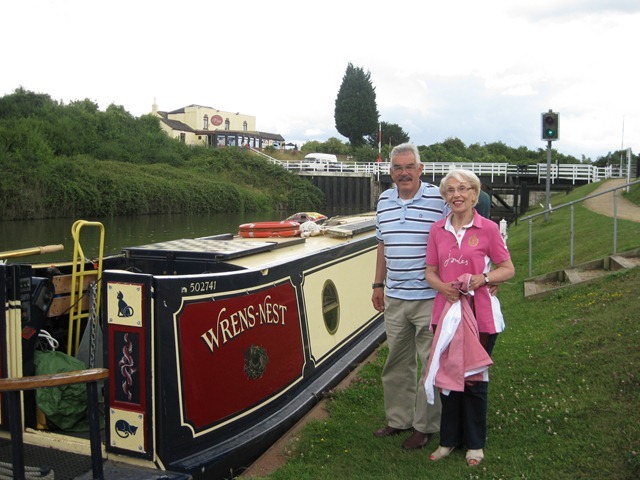 We stopped for lunch at Eckington Wharf which has a picnic place which Graham & Judy knew well and then went on down to Twyning where we said our farewells them at the Fleet Inn where they were meeting friends tonight. 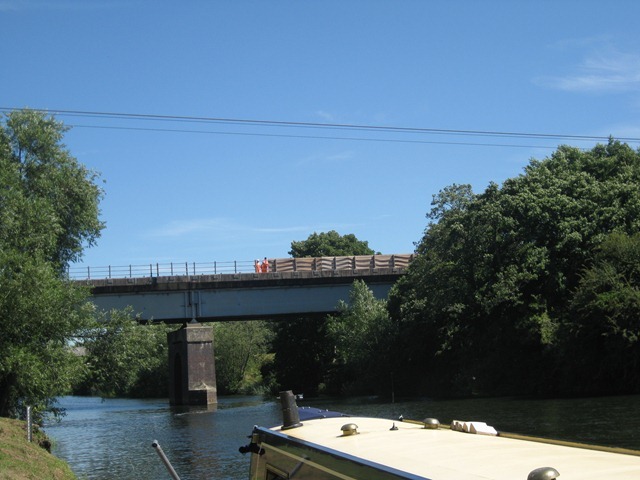 For our part we travelled on down to Tewkesbury passing under the M5 near the M50 Junction, a view we have often seen the other way round. 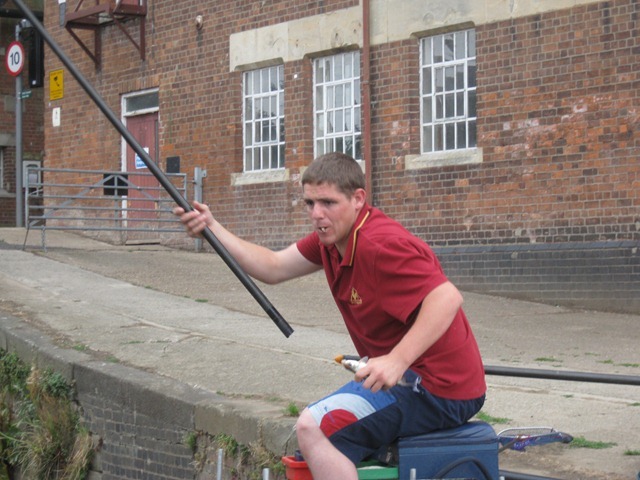 We phoned the Lockkeeper at Avon Lock (Tewkesbury) who told us there were moorings just past the lock, which we completely managed to miss and had to annoy a whole lot of fisherman (who we learned had a match on) in order to turn around. We phoned the Lockie again and he explained in detail where we were supposed to be, there were some lads fishing there too who were also none too pleased that we moored there, but we managed to squeeze in and make our peace with them. Later a ‘Tupperware’ boat moved out of the way and we were able to move up a bit as the lads were coming back at 6am tomorrow! We set off predictably late at gone 11:00am Joy and Judy just had to go shopping as we were in a real town. Our first obstacle was the Hampton Ferry, which is pulled across the river on a rope, so you have to give three long blasts on the horn so they know you’re coming and can lower the rope. The ferryman decided he had plenty of time to do one more trip across before we got there, which of course he did, but you do start to wonder as you get ever closer! Joy had been complaining for a few days that the loo was smelly so we had to get it ‘pumped out’ and we were very excited to find DIY pump outs were available for free at the sanitary station outside Evesham sewage works, these things are important to boaters 😀 The map said there was another cable across the river here, but it was, fact between the pillars of an old railway bridge about 25 feet above the water level, we had visions of the sewage workers arriving for work by zip wire! 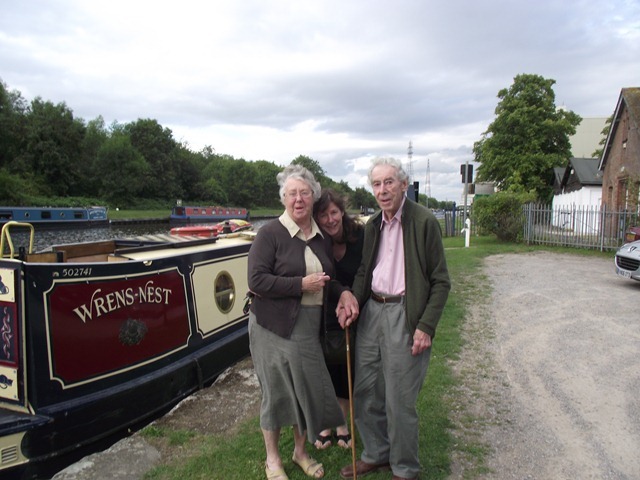 We had to content ourselves with mooring for the night at Pershore Recreation ground which was conveniently close to Asda so provisions were purchased and we spent a pleasant evening playing Balderdash with Graham and Judy and sharing supper together. Jer, Sadie, Morley & Iona came to visit us today at Bidford on Avon, left their car there and joined us for a cruise down to Evesham, it was a really nice day and we had lunch as we travelled and arrived in Evesham mid-afternoon. 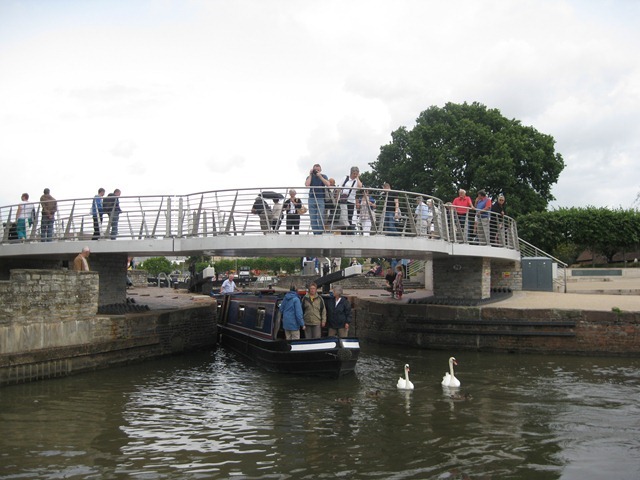 Joy got us into trouble at Evesham Lock by handing the lock-keeper our centreline, giving away the fact that we hadn’t been keeping to their rules all day! We couldn’t have moored up in a better place, opposite Workman Gardens, as there was a big play area there where Morley & Iona had a whale of a time and got soaking wet which was all part of the fun. 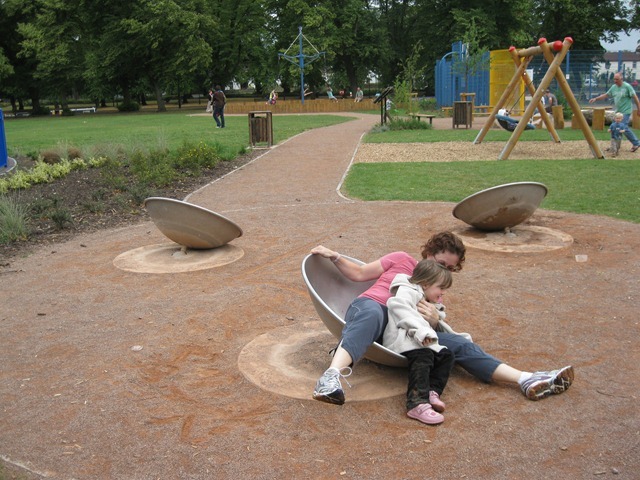 Meanwhile Jer rode his bike back to Bidford in 23 minutes (over 3 hours by boat) and brought the car back, Sadie had a ‘pronk’ (jog) round the park and had to show Iona how to use the play equipment. Today we ventured out of Bancroft Basin at Stratford and down onto the Avon, I had been a bit worried by all the guide book’s talk of strong currents and weirs but like the Thames it was quite gentle at this time of the year at least. Even the locks were well maintained and quite easy to use despite being three times wider than the narrow ones on the Stratford Canal. Graham & Judy had guests for the day and we all enjoyed a relaxing day down the river stopping for a riverside picnic lunch on the way where we found a new friend who wanted to see what we had in our kitchen and was friendly enough to take food from my hand. It was quite novel to frequently be able to see the bottom of the river after the muddiness of canals, Graham said he saw fish; we certainly saw lots of fishermen who often seemed less than pleased to see us. 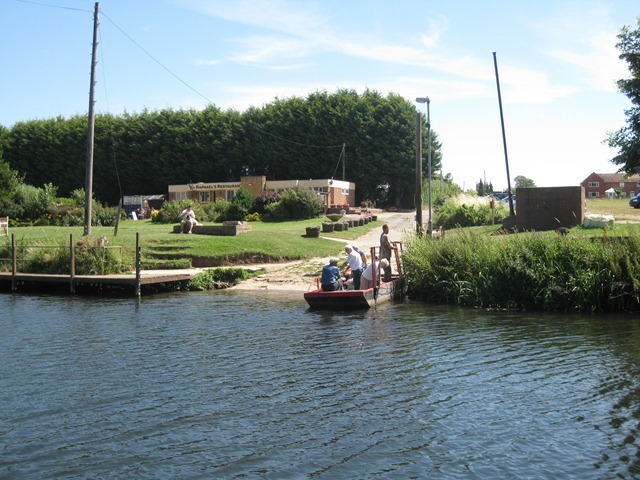 We stopped at Bidford on Avon where we found moorings outside the Frog pub to re-unite nb Katherine’s visitors with their car and stayed there for the night.